Alex Rodriguez was suspended yesterday for the entire 2014 Major League Baseball season. I've emailed the makers of MLB the Show to ask what this means as far as the roster of the next game, which releases in March. One thing that probably won't change, however, is The Show's own form of performance enhancing drugs. That would be "training points," which are sold for real money in the game's Road to the Show mode and which will instantly improve a player's abilities. With the series touting a new "universal currency" its unlikely this feature is going to be removed any time soon. Four years ago, I wrote about my encounter with "training points," and the conclusion I reached about my decisions to do so resonate today. It's at the bottom of the page, beneath this addendum to the story. Technically, Rodriguez's suspension is only for 162 regular season games and any playoffs, meaning he would be available for spring training (though there is some question as to whether the Yankees would or could send him to their minor league spring training camp.) Spring training is a part of the career modes in The Show. Then after this season, Rodriguez is free to return, which creates a problem for career modes that can stretch many years into the future if he is unavailable on the game's basic roster. Licensing also plays a role; any player with current major league service is considered a member of the Major League Baseball Players Association, and that status is needed to get into the video game. As a seasonlong suspension has never been issued, and all of Rodriguez's is unpaid, it's unclear what that means as far as his earnings from the group license. One thing is for certain: in online ranked play, Rodriguez will not be available, as rosters conform to real-world developments, including injuries and suspensions. He likely will be unavailable in the game's "Diamond Dynasty" ultimate-team mode, too. 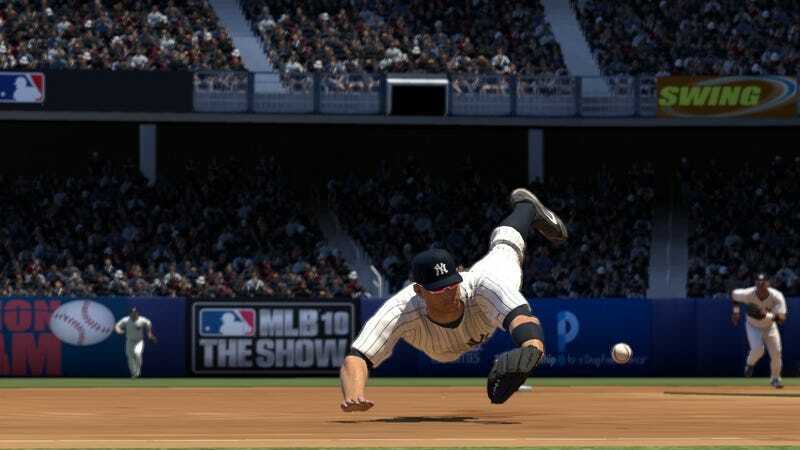 Last year, when the suspension was first announced, MLB 13 The Show sent Rodriguez to the Yankees' minor league roster, as it did to Ryan Braun, Nelson Cruz and others caught in the same investigation. Yet Braun, Cruz and the others did not appeal their suspensions; Rodriguez did, meaning he was allowed to play pending a ruling, and he did so for the remainder of the 2013 season. Still The Show immediately removed Rodriguez from its Aug. 5 roster update, though he was restored later. This year, will MLB 14 The Show strip him from the roster altogether, or leave him in the game's pool of unsigned free agents, for players to dispense justice as they see fit? We don't know that yet. But through this video game we can empathize, loosely, with the mindset that brought Alex Rodriguez to this point. There aren't many opportunities to put yourself in the shoes of a superstar athlete, ostensibly with no reason to cheat to get ahead, but this is one. Can I Stop Worrying, and Learn to Love the Juice?